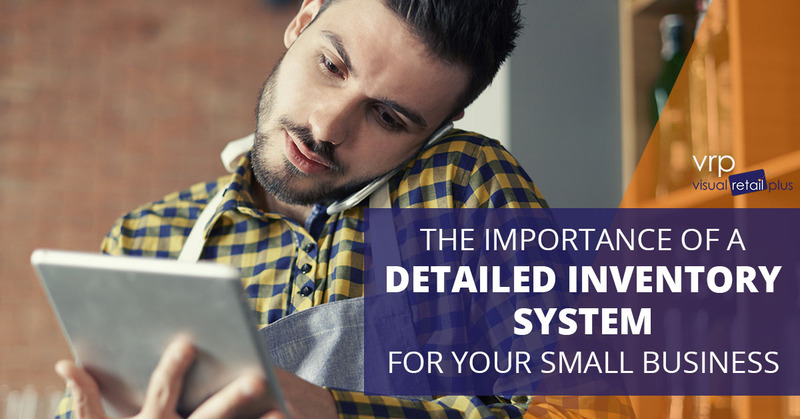 When it comes to operating a small business, every single detail counts. From the smallest of tasks to the big picture planning, your retail business is directly influenced by how well you keep things organized and flowing. For this reason, choosing the right inventory management system is vital. Your inventory plays a major role in your business. In fact, the successful management of your inventory is one of the best ways to ensure your business is on the right path. Here at Visual Retail Plus, we believe that the right inventory management system will go a long way in helping your small business succeed. Check out these top reasons why a detailed inventory system will benefit your company and learn more about our all-in-one POS system platform today. Odds are good that when you are first starting out, your small business is operating with limited storage space for inventory. You need to be able to make the most of the space you have, which requires you to stay organized. Not only do you need to keep shelf space organized, both in your storefront and in your storage space, you need to know what to order and how much room you have allocated for any product at any given time. By keeping a detailed inventory, you can ensure you keep what you need in stock without running out of room. A good inventory management system will help you keep detailed reports in real-time so you know exactly what you need the moment you need it. When you are first starting out in the business world of retail, you will be working on getting to know what your cycles look like and what influence this has on your inventory. A detailed reporting system will allow you to start to map out the cycles of your business and will allow you to begin predicting your customers’ needs before they arise. Without a detailed management system, you will be guessing and shooting in the dark when it comes to ordering and stocking your inventory. Opt for a platform that tracks your inventory in a detailed format and that is agile, always adapting to your business’ specific needs. This will ensure that you can tailor your future ordering to the specific needs your customers have demonstrated in the past. 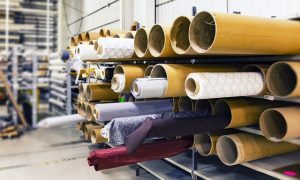 If you operate more than one physical location, it can be difficult to keep your inventory organized. When you operate two separate inventories, you run the risk of waste and inefficiency. The best way to ensure you are ordering exactly what you need is to manage all your locations through the same inventory management platform. By linking multiple locations together, you can cut down on waste and that you can best serve your customers’ needs. A quality platform will allow you to keep track of multiple store inventories in real time. This will also allow you to look up items in remote stores to help customers who might not find what they need at one specific location. You can also utilize this data to determine which products you should stock in greater amounts at which specific stores. The reality is that when you don’t keep a detailed management of your inventory, you run the risk of product loss. Whether it is through theft, disorganization, or another means, inventory losses are costly to your business. By keeping detailed reports of your inventory, you can cut down on how much is lost and you can keep track of where losses occur. This will allow you to benefit from greater profits and will ensure every member of your company is held to equal accountability. If you are looking for an inventory management system that will allow you to do all of the above, we invite you to check out Visual Retail Plus. Our integrated platform is both a point of sale system for retail, as well as an inventory management platform. This all-in-one system allows you to keep everything organized, with detailed reporting that will help you more accurately predict the needs of your customers. Don’t leave your inventory up to chance. Take control through detailed inventory management. Reach out to our team with further questions or sign up for a demo today.